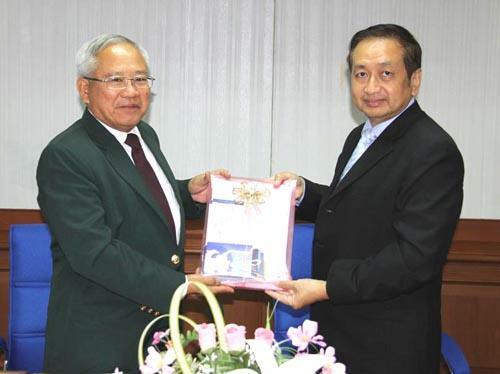 Mr. Rangsan Srivorasart, the director general of the Comptroller General?? 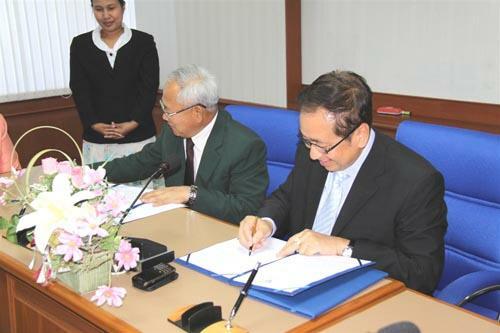 ?s Department, and Mr. Supachai Baanpubthong, the deputy Permanent Secretary of Agriculture and Cooperatives Ministry, jointly signed the memorandum of cooperation on the disbursement and accountancy of Agriculturist Support Fund between the Comptroller General?? ?s Department and Office of Permanent Secretary of Agriculture and Cooperatives Ministry, at Meeting Room 302, the Comptroller General?? ?s Department, September 1 2011.